Currently, there are no known poisonous lizard species in Georgia. 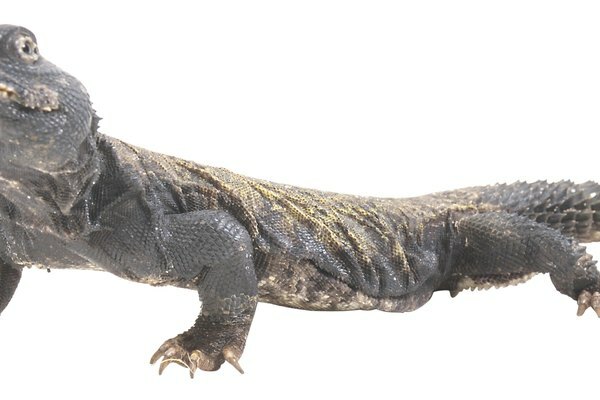 In fact, there are only two known poisonous species in North America: the Gila monster and the Mexican beaded lizard, none of which inhabits Georgia. 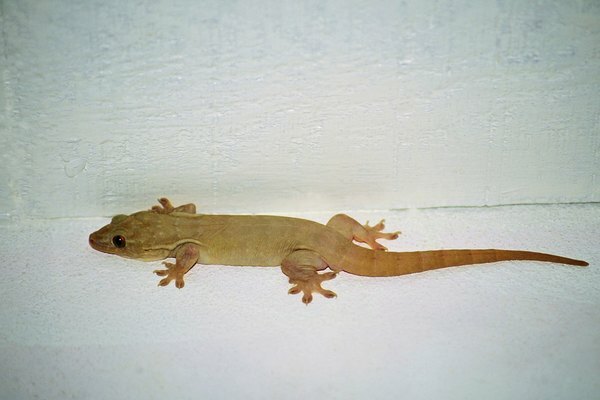 There are, however, six species of lizards in Georgia, which include the green and brown anoles, the mole skink and the Indo-Pacific gecko. The green and brown anoles are common through Georgia, except for mountainous areas. Anoles generally live in trees, but can often be found sunning on porches, roofs and sidewalks. Both green and brown anoles are most active during the day when the temperature is warm and seek shelter in tree bark, logs or shingles when the weather is cool. Anoles can be found in almost any habitat. These species of lizards include the Eastern fence lizard and the Texas horned lizard. The fence lizard can generally live in many habitats, from mountains to the coast, whereas the horned lizard is mostly found in sandy areas, such as dunes. Both spend a lot of time on the ground and in the trees. One distinctive feature of the horned lizard is its ability to squirt drops of blood from its eyes in order to frighten away predators. Both lizards prey mostly on insects. The racerunner lizard is the only species of lizard in Georgia with the distinct feature of six yellow or white stripes running down its back. This species is commonly found in hot regions in Georgia, such as sand dunes and open fields. Racerunners are known for their speed and being difficult to capture. Skinks tend to be brown or gray and found in mostly mountainous regions in Georgia. Some species of skinks, such as the coal skink and the five-lined skink, can detach their tails when restrained, allowing them to quickly escape the grasp of predators. These lizard species can mostly be found under rocks, logs or along streams. 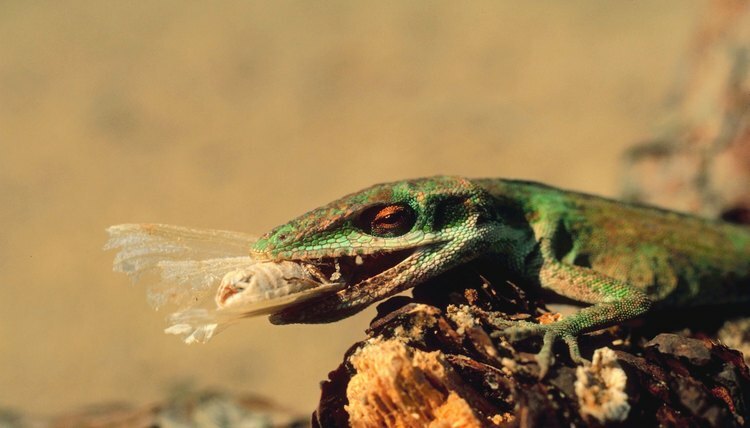 Geckos, which are practically nocturnal, have sticky toe pads and, unlike many lizard species, are capable of making barking or squeaking noises during a dispute or to ward off predators. Geckos can usually be found at night perched on lights, walls or screens. During the day, they hide in crevices or under tree bark. These species of lizards include the glass lizards, which are legless lizards that resemble snakes. Glass lizards can be distinguished from snakes by their movable eyelids, ear openings and inflexible jaws. When captured, glass lizards can break off part or half of their tails, which make up about half of the body. Glass lizards can mostly be found in wetlands and sandy habitats.